One day, a young boy came into the monastery and asked the Chief Monk, to give him some work and also food. The Chief Monk asked him: What have you read? What work can you do? What do you know? The boy replied: I have not read in school. I have no proficiency in any work excepting some stray jobs like washing food plates, cleaning up the cottage etc., I do not know anything else. The Chief Monk asked Are you sure you do not know anything else? The Chief Monk said: Oh that’s good. Now I shall test you in your game. Before start of the game, the Chief Monk said: Now see, I have a sword on my hand. If any one is defeated, his nose will be severed. The boy became nervous. However, without any other way to go, he agreed. The game started. Initially, the boy made some mistakes in moves. His position on the board became almost hopeless. He then concentrated completely on the game and improved the position to a winning level. Then he looked at the monk sitting opposite and playing. He was not quite nervous but obviously disturbed a little. The boy then thought, “I am a useless fellow in life. Nothing will change the world if I lose the game and lose my nose. But this monk, is well read person, doing meditation and is sure to attain Buddha Hood Why should he lose? So the young boy deliberately made a wrong move, so that the monk sitting opposite could take advantage and win the game ! The Chief Monk suddenly flashed his sword on the table. All the coins flew into different directions. He then said: The game is over. Oh boy you are IN. You will be with us in the monastery hereafter. The boy did not understand. 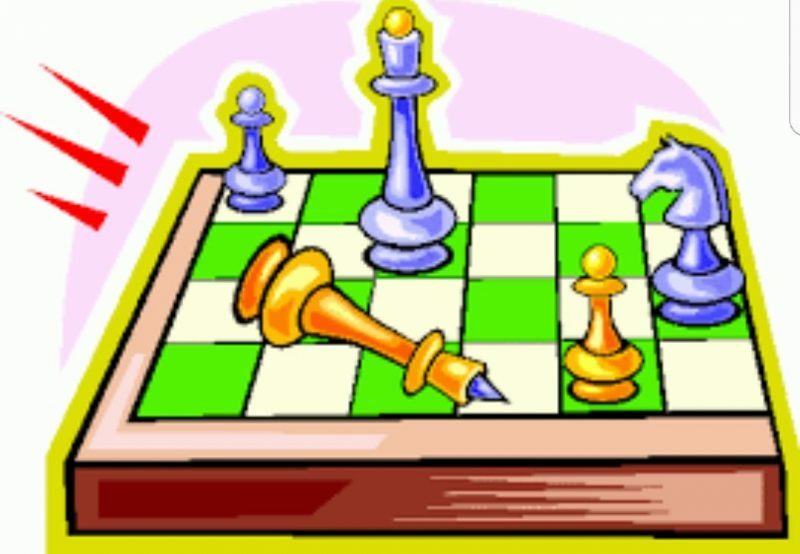 The Chief Monk explained: “I did not ask you to play chess to find out your caliber in the game. But I was looking for two essential qualities that are necessary for Self realization. One is *Maha Prajna*. The Great Awareness. I found that in you. When your game became positionally bad, you put your entire concentration and attention on the game and improved your game. This is Maha Prajna. The second is *Maha Karuna* – The Great Compassion. I found that also in you. When your opponent was about to lose the game, you looked at him with great compassion and deliberately made a wrong mistake so that he could win. These two qualities are adequate to do sadhana and make the life *Meaningful*. Life isn’t about winning or losing there is nothing to win and nothing to lose. You can at best enjoy or suffer your limited time called *Life* but enjoyment or suffering is also only a figment of your imagination. Going beyond enjoyment, suffering, winning or losing is the path that few choose to walk. Win or Lose… letz have a great life.